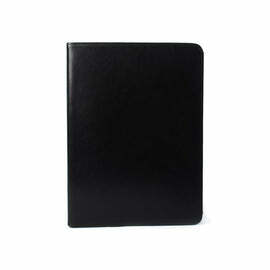 How to choose perfect leather folder to suite your needs. Are your business tools accessorised? 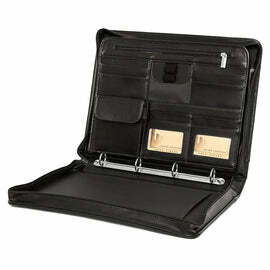 Do you take a tablet, brochures, order forms and other stationery with to a business meeting? For most businessmen and women visiting a client means maintaining a smart and professional image but does that image carry through all the way? Turning up for a meeting all smart and dressed to kill often loses its edge when the client observes that your folio of paperwork is being carried in a worn plastic folder, a battered clipboard or even worse a tattered brown envelope. In the same way that ensuring the clothes you wear, the watch, the shirt and even your shoes all look the part, it is very important to present the image consistently with the way you carry your business tools and paperwork around. 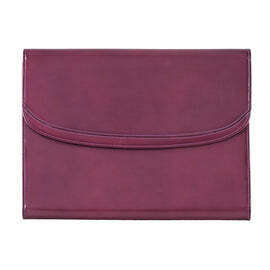 To attract affluent clients who will themselves have a taste for style, leather folio cases, folders and binders are ideal for hemming up all the edges to your image. 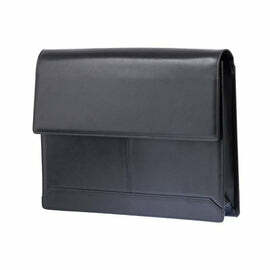 A good quality conference folder will hold multiple items yet still be easy to carry and manage the items. Online resources such as Blaxton have excellent examples of these with enough space to hold a clipboard, a tablet, business cards, brochures and the all necessary sales and service paperwork. The Sandford leather writing and conference folio also comes with a ring binder which makes managing the order of paperwork even easier. 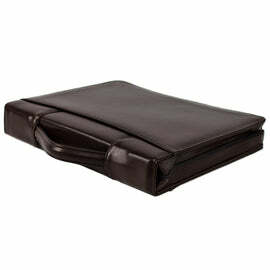 These leather ring binders are fully lined with an internal zip cases where you may wish to keep an item discreetly kept from sight. 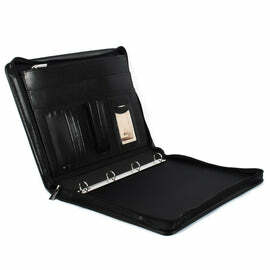 These high end business accessories offer an affordable addition to most business sales and service teams. 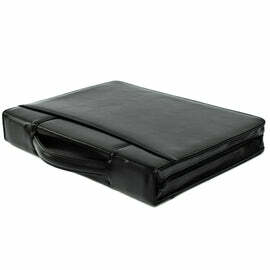 Blaxton bags offer a full range of folios and document holders to suit the need of almost situation. The Terrell leather document case is the ideal solution for carrying contract documents with a single internal sleeve and an external pouch for additional documents. It also has separate pen loops so that there is no embarrassing digging around for pens at the crucial moment and of course space for the business cards. The Terrell , accommodates the same needs as the Sandford with the exception that it boasts a magnetic closure rather than the standard clip lock. The Maddox range covers slim leather folios for easy carrying to multipurpose document and marketing products, in variety of colours. 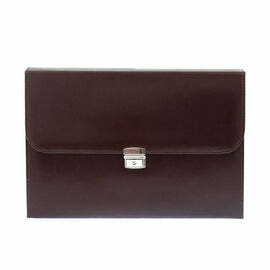 This makes coordinating with any brand an easy task and enhances the professional appearance. 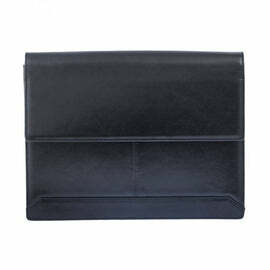 Perhaps the flagship business leather conference folders are the Roscoe and the Meredith both of which can be used as a mini briefcase and is sufficiently spacious to provide support for a full day out on the road. Apart from boasting the same features as the other products in the range it also has a handle which makes carrying heavier business items including calculators, mobile digital pay points and of course a combination of paperwork and digital tablets as well as netbooks a real possibility. These items are ideal for city workers and suited to both men and women. Perhaps what makes Blaxton such a good resource is the fact that they also carry several other accompanying products such as satchels, handbags and travel items. The attention to detail has been so precise that their product range includes tie holders. 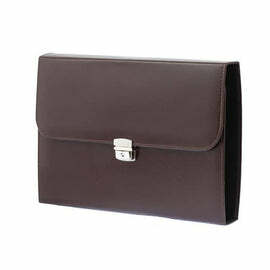 Aside from ensuring that your business and brand image are streamlined with a professional image, leather folios, briefcases and other accessories also make ideal business gifts for those loyal and important clients. 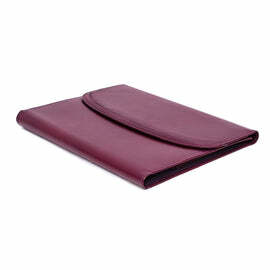 You can rest assured that a folio case or accessory from ranges such as these will keep you in your clients mind long after a bottle of bubbly, a bunch of flowers or a box of chocolates. A fine leather business folio from Blaxton will create conversation opportunities between your clients and other business associates thus enhancing your professional visibility even when you’re not around. So apart from using an excellent quality leather product to present your own image, these leather folders can provide an additional opportunity to extend that relationship by being offered as business gifts to promote your business once that very important deal has been closed. In summary: How you present yourself to a current or prospective client will stay with them. Utilising high end quality accessories to polish off your look will appeal to clients that are looking for a professional approach. Additionally, your high value clients may feel appreciated by finding themselves on the receiving end of a good quality high end leather business product, especially if it is offered in a colour or style that matches their own branding assets.